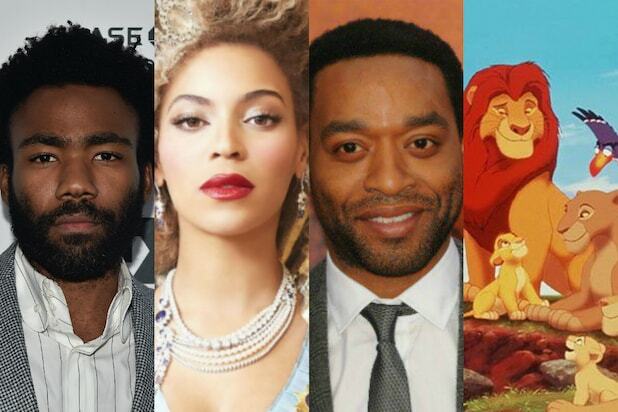 Like Rafiki brandishing the newborn Simba on top of Pride Rock, Disney on Wednesday unveiled the full cast of Jon Favreau's live-action remake of their 1994 classic "The Lion King." The new version coming in 2019 boasts an impressive cast to replace the original's iconic voice actors. Let's meet them. 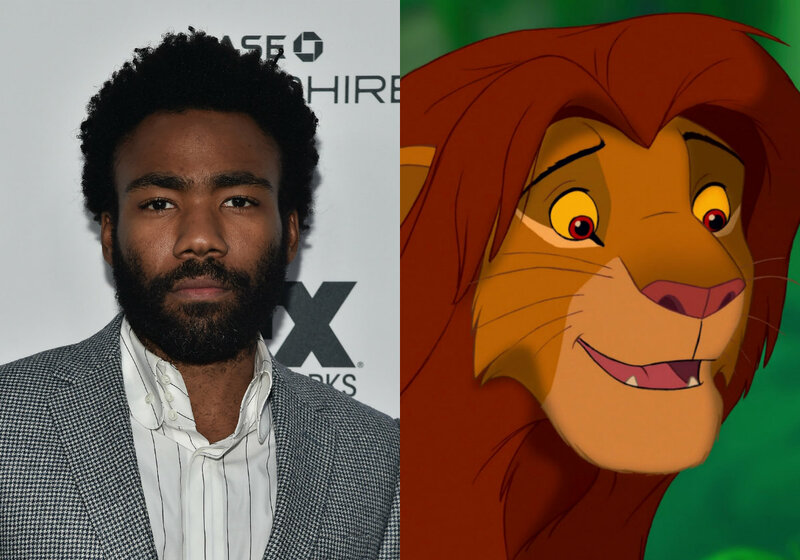 Donald Glover as Simba Oh, we just can't wait for Donald Glover to be King. Being Lando Calrissian isn't enough, he has to fill in for Matthew Broderick as Simba too. 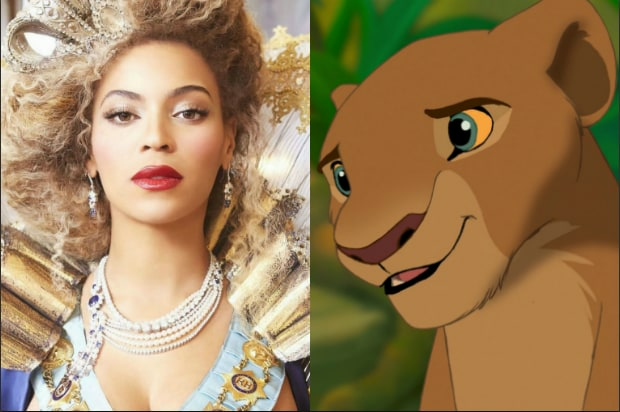 Beyonce as Nala The Queen B is now the Queen of the Jungle, suggesting that the role of Nala is likely larger than in the original and might even include some new songs. James Earl Jones as Mufasa Some casting is too perfect to touch. We're excited for the new cast, but there's no replacing James Earl Jones. Chiwetel Ejiofor as Scar Jeremy Irons was perfectly menacing as Scar in the original, but Ejiofor doesn't usually get to play the villain. Be prepared! Alfre Woodard as Sarabi Woodard, who plays Simba's mother Sarabi, starred with Ejiofor in "12 Years a Slave" and has recently worked on Marvel's "Captain America: Civil War" and "Luke Cage." John Oliver as Zazu We love Oliver's neurotic lectures on "Last Week Tonight," so he's a smart pick for Zazu, the ever irritated guardian for Simba. Rowan Atkinson voiced Zazu in the original. John Kani as Rafiki Like Rafiki, Kani is a veteran wise beyond his years. But new audiences will come to know him as King T'Chaka in "Black Panther." Seth Rogen and Billy Eichner as Pumbaa and Timon It means no worries with these two voicing the beloved warthog and meerkat. Ernie Sabella and Nathan Lane voiced the characters in the original film. Florence Kasumba as Shenzi Kasumba is best known for her work on "Emerald City" and will also be in "Black Panther." Whoopi Goldberg played hyena leader Shenzi in the original. Eric André as Azizi André plays another one of the trio of hyenas, but this time with a new name, "Azizi." We can perfectly see his irreverent, screwball persona matching what Jim Cummings did with "Ed" or Cheech Marin did with Banzai. Keegan-Michael Key as Kamari Another new hyena. Maybe the "Key & Peele" star can bust out his Obama Anger Translator voice when he's saying, "Who's the pig?" JD McCrary as Young Simba McCrary actually appeared on an episode of "The Eric André Show," as well as Tyler Perry's show "The Paynes." Shahadi Wright Joseph as Young Nala Wright Joseph made her breakout role as part of the cast of "Hairspray Live!" and was even on Broadway for the stage production of "The Lion King."